The story centers on Detective David Tapp who awakens in a decrepit, abandoned asylum. He has been captured by his longtime nemesis, Jigsaw. Obsessed with catching this serial killer, Tapp’s mission has consumed him and ruined his family, resulting in divorce, mental imbalance, and abandonment. Worse yet, this frantic hunt destroyed Tapp’s career while he watched his long-time friend and partner get killed by one of Jigsaw's traps. Now Jigsaw has the upper hand and has captured the detective. 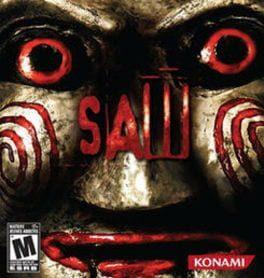 Tapp must play a deadly game—the likes of which he has been investigating for years—to escape, and in order to do so he must survive the lethal traps and puzzles that Jigsaw has put in place for him and others. But each victim has a dark connection to Tapp. Will Tapp save them? Can he survive his obsession to find the Jigsaw killer? Saw is available from 17.99 to 17.99 from 1 shops.